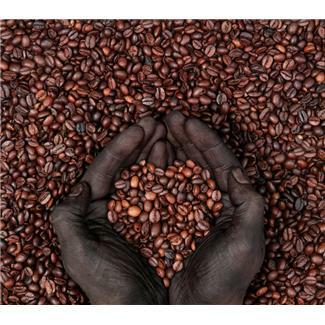 Most people who buy fair trade coffee are unaware of the handicap fair trade growers put on the economies they’re supposedly helping. The fair trade label is so commonplace nowadays that hardly anyone questions it. And, yet, the “fair trade” phenomenon should raise a whole slew of questions: What does “fair trade” actually mean? What is the unfairness we’re correcting? Why does “fair trade” only seem to apply to agriculture? Sure, Americans are well-meaning. We think we’re doing third world countries a favor by offering artificially high wages and growing their agricultural sector, but there are many unintended consequences which follow. We must be careful not to applaud our humanitarianism too quickly. The “fair trade” argument goes something like this: It’s unfair that companies are going to third world countries and exploiting the poor for their cheap labor, so those companies should offer “fair” wages. What most people don’t realize is that companies offer lower wages because people will agree to those wages. The laborers agree that they’re getting a fair wage. Further, jobs in agriculture are entry-level jobs. They’re not the end-all be-all of economic advancement in these countries so they shouldn’t have artificially high wages as if they are the end-all be-all. Even low wages increase the poor person’s wealth and might enable him or her to seek better jobs in the future. Let’s see what happens when we follow the consequences of artificially high wages. The higher wages offered by Fair Trade Growers tends to attract a larger pool of workers than lower wages would. Typically, this means the grower can hire more skilled workers because the company can pick and choose the best workers out of the pool. This seems like a beneficial practice until we realize that the higher wages are not going to the poorest classes. The grower will be more likely to hire a young man with some education who can shower and shave every day rather than hiring an impoverished child or a poor widow with no one to support her. Not only do “fair trade” rules not affect their intended beneficiaries, but these more skilled workers that they hire are foregoing a high opportunity cost. Instead of working in technology or entrepreneurial business or any other job where they can be more creative, they go to work in the agriculture industry where there’s not much room for innovation or diversification. While agriculture may be a good way to start up an economy, agriculture is not the most valuable business in the world market. The types of workers who go into agriculture should be the unskilled workers so that the skilled workers can use their skills in more creative industries. If skilled workers were allowed to use their talents in other sectors, they would grow the economy over time because they would have room for specialization. Fortunately, there are other ways to help third world countries grow economically besides buying fair trade coffee. In government policy, we can end “fair trade” policies, stop subsidizing production, and encourage foreign entrepreneurship. And for those who want to scratch their humanitarian itch, there are many non-profits which aid poor economies in a much more effective and sustainable way. For example, an organization called Kiva collects donations to help entrepreneurs in third world countries to build a business. It takes immense pride to say that we know coffee-growing is the best way up and out of poverty. It’s time for us to swallow our pride, stop this “fair trade” nonsense, and donate to organizations that will help these people in the long-run.